HOME -> Consumer Marketing -> Acquisition -> Tinder for Car-Shopping? Cars.com says YES! 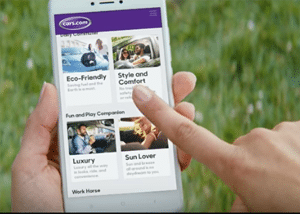 Cars.com has turned the car-buying experience into something more tenable, taking a lead from dating sites like Tinder and Match.com. Car shoppers can either use the app or Cars.com to access the Matchmaking Experience. The service, called the “Matchmaking Experience” is being launched with a new campaign, We Met on Cars.com. “Americans love their cars—but they would rather go to the DMV, clean toilets, have an extended phone conversation with their mother-in-law and go to jury duty than shop for one,” the company said. The service is powered by proprietary machine-learning algorithms to make personalized car recommendations based on shoppers’ lifestyle preferences. The company says it can make the car-buying experience more “personal and fun” by helping customers navigate the more than 40 automotive brands, 460 models currently on the market and tens of thousands of trim options. 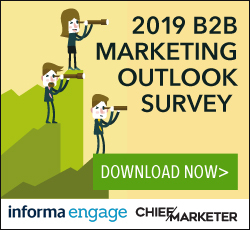 “We’re treating people like human beings with distinct emotional nuances, not just site users, as we build a more relevant, personalized car-shopping experience,” says Tony Zolla, Cars.com chief product officer. Users share their feedback on up to 15 different lifestyle preferences at either Cars.com or on its app. Cars.com then delivers up to 20 recommended matches based on user preferences and sentiment analysis. Users then “like” or “don’t like” the recommendations offered. The Matchmaking Experience then delivers the vehicle matches to the users nearest location. The campaign, created in partnership with R/GA Chicago, debuted Aug. 6, with a 30-second, 15-second and 6-second multi-channel creative effort across network TV, digital, program integrations and social, as well as a range of digital and online video executions. Custom content partnerships, with companies like Tinder, help make the connection between matchmaking and car shopping. The campaign’s core creative, entitled “How We Met,” portrays relatable scenarios where people with varying interests and passions find their perfect vehicle match. “We’re rekindling the emotional connection that sometimes gets lost between the dream and the drive, and we’re injecting fun back into car shopping,” says Brooke Skinner Ricketts, Cars.com’s CMO. Skinner Ricketts added that the experience and campaign will set apart Cars.com in the commoditized auto marketplace category. A pilot of Matchmaking Experience has shown promising results: a 752 percent increase in profile creation on the site, 87 percent increase in return visitors, 225 percent increase in email leads and two times the number of page views per visitor versus the traditional search experience, the company said.